New Code: Realize fan disc on the way. 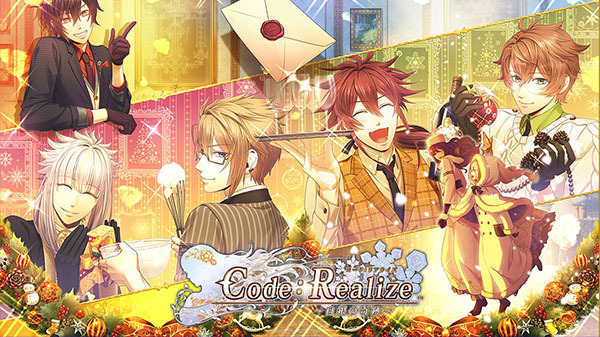 Idea Factory has announced Code: Realize ~Shirogane no Kiseki~ (Code: Realize ~Silver Miracle~), a second fan disc in its Code: Realize otome visual novel series for PlayStation 4 and PS Vita. The game is currently without a release date, but has has only been announced for Japan. It will cost 6,804 yen for the standard edition, 8,964 yen for the limited edition, and 6,264 yen for the digital edition. The PlayStation 4 version of the game will feature PlayStation 4 Pro support. The blessed maiden will call for a miracle in the silver world once more. This is the story of you and him, who care for each other even while living apart, during a certain winter in a steampunk city dyed in white. A wonderful day with two young men chosen by you. A certain encounter that occurred in between your journey to find your father. And a story that depicts the future of “them”—. A past that has yet to be told. A present passing time with those you hold dear. And a future that has yet to be seen. A blessed future is further ahead. Among the many stories brought about by miracles, what kind of emotions will be born in the maiden’s heart?